Whoa! What’s this? A totally brand spanking new BlackBerry in town, something that has the BlackBerry name on it, but doesn’t seem to running the usual BlackBerry OS we’re so familiar with. 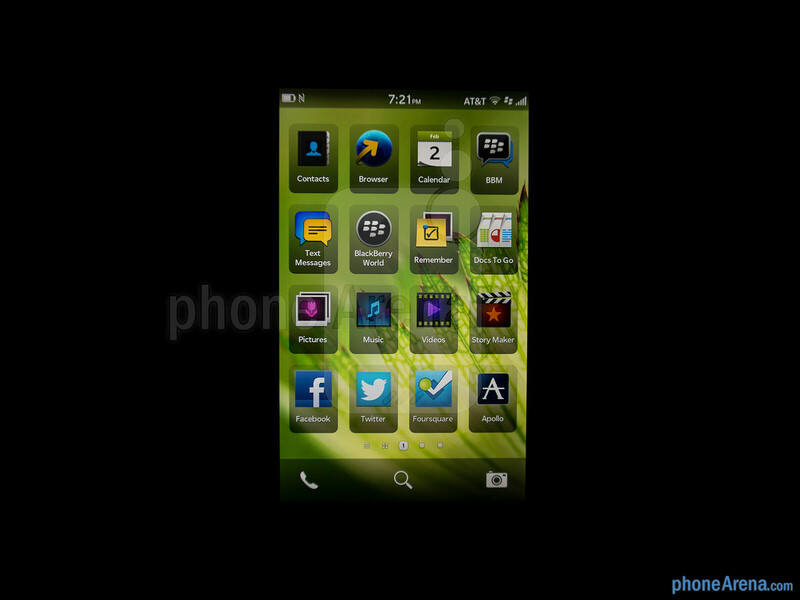 After hibernating for the better part of the last year, the company formerly known as Research In Motion, known as simply BlackBerry now, has finally unleashed its long awaited smartphone running its new QNX-based BlackBerry 10 platform. For a company attempting to establish its prominence once again in the business, a lot is hinging on this gamble of sorts – especially taking into factor the exorbitant amount of time they’ve spent on it. Naturally, it’s going to be an uphill battle for BlackBerry, as they attempt to contend in an already crowded space filled with top notch Android smartphones, stylish Windows Phone 8 devices, and of course, the tried and true iPhone. Despite the odds that might seem to be against them, BlackBerry still commands a loyal following under its belt – and hopefully, they’re willing to give this new platform a chance. As we all know too well, it’s a matter of bringing something extremely compelling to the table that will intrigue the hearts and minds of consumers all around. 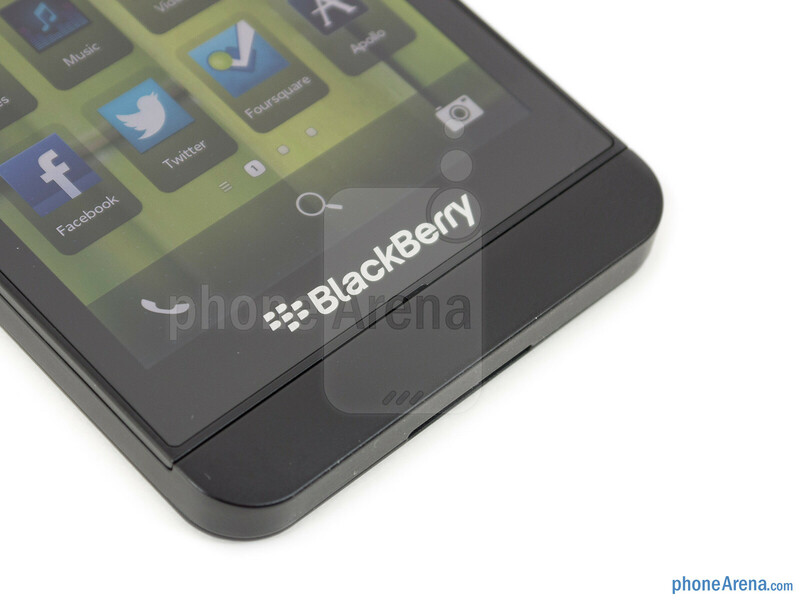 So what device has the prestigious honor of launching BlackBerry’s new mobile platform? 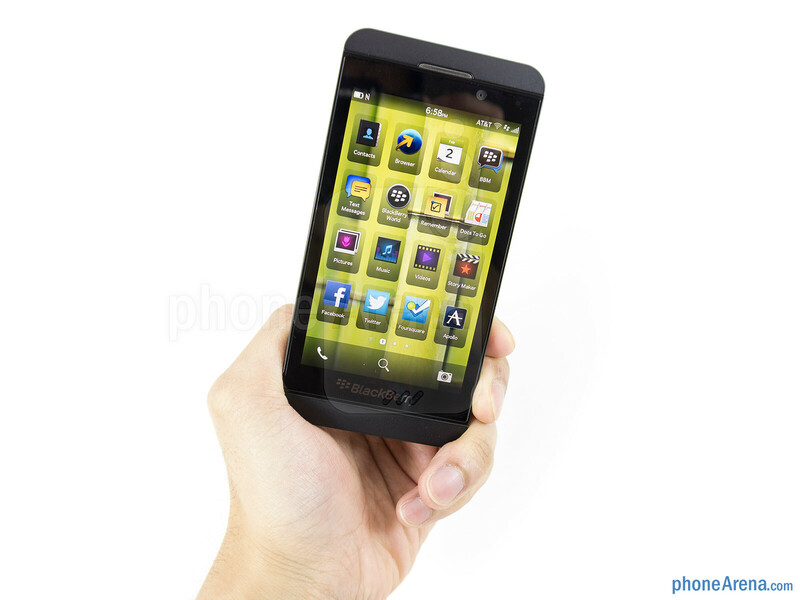 Well, it’s none other than the all-touch smartphone in the BlackBerry Z10 – a device that’s not armed with some gimmicky feature, much like what we’ve seen with the Storm series. Looking through its specs sheet, it’s not something that’s going to instill fear into some of the top-tiered smartphones on the market now, but instead, the spotlight is all on the mobile operating system that’s running the show. This is it people, it’s do or die time for BlackBerry, right? Quite frankly, this needs to be something grand in order to steer people away from other platforms. 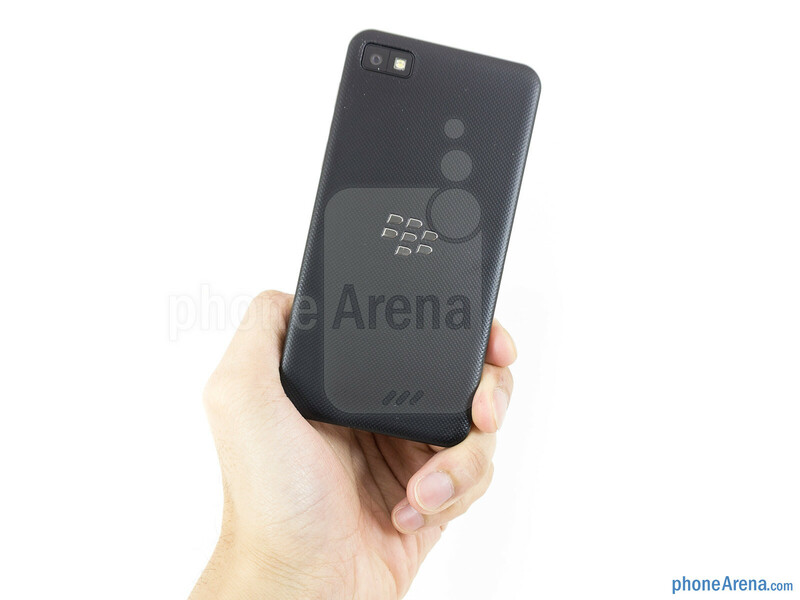 You’d think there would be a huge emphasis on design with the BlackBerry Z10, since it’s the device meant to showcase the new platform for the first time. Unfortunately, that’s not the case with it, as its understated design language kind of falls flat when compared to some of the eye-catching designs we’ve seen with other handsets. 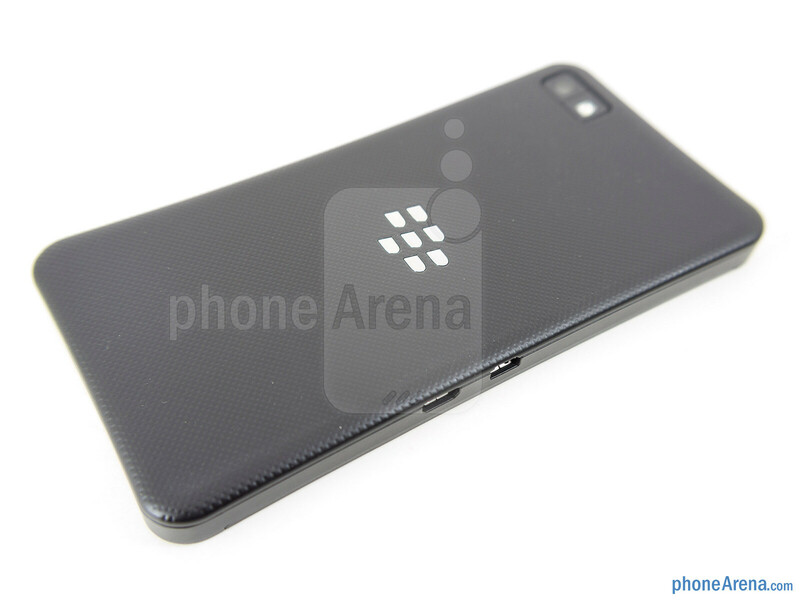 In fact, the more we think about it, the Z10 is nothing more than an enhanced version of the BlackBerry Dev Alpha units that were given out to developers – though, it also resembles the iPhone 5, and to the extent, the LG Revolution from a while back. Donning an all-plastic minimalistic construction, it obviously lacks any premium elements to make it a prized looker amongst other things. Fairly solid with its construction, the rear of the handset has a clean finish to it – thanks primarily to its dotted rubbery rear casing, which also provides for a grippy feel in the hand. 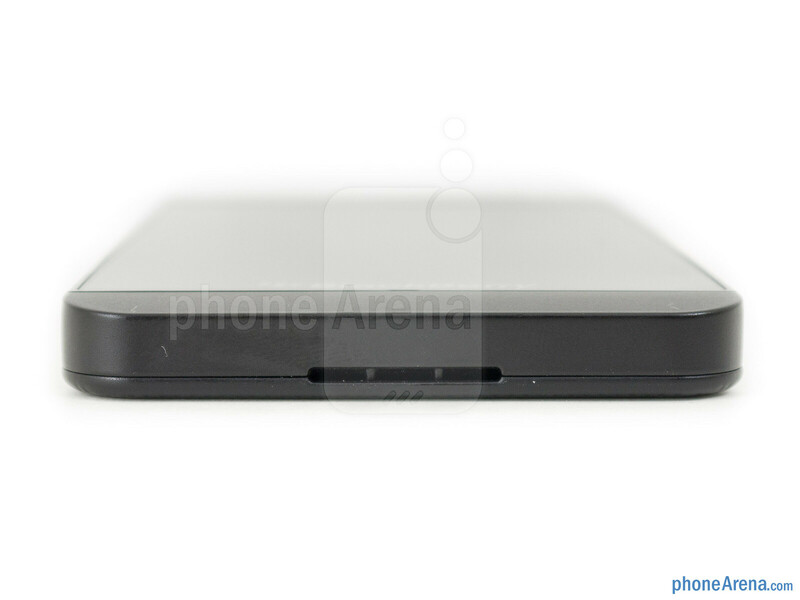 Needless to say, it’s form fitting in the hand with its streamlined body (0.35” thin) and balanced weight (4.9 oz), but in contrast to something similar like the iPhone 5, it’s moderately larger in footprint. In this day and age, physical appearance has a lot to do with being unique and different amongst the heap of masses out there. 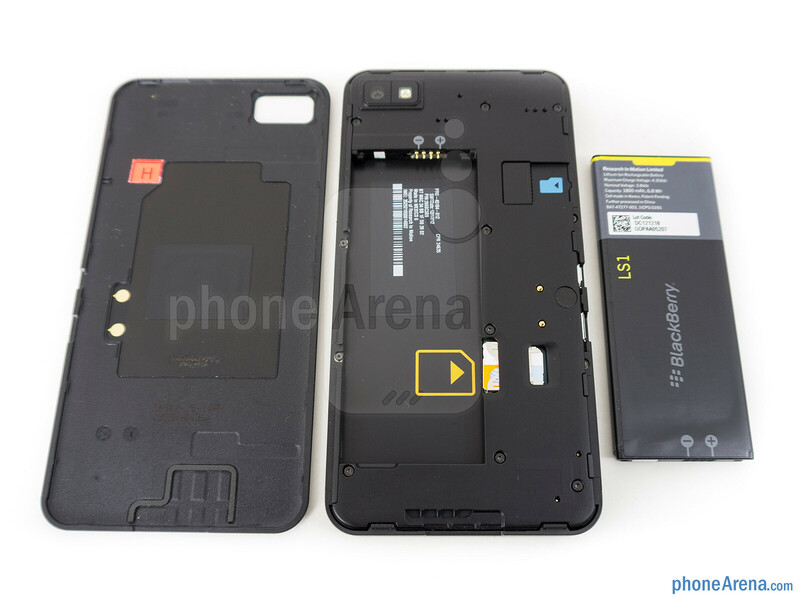 Sad to say, the BlackBerry Z10 doesn’t embody the qualities we’d expect to find on a smartphone that’s the quintessential ingredient required for revolution. 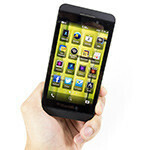 You can compare the BlackBerry Z10 with many other phones using our Size Visualization Tool. Ditching the familiar styling of past BlackBerries, the Z10 doesn’t boast any of the physical buttons shared by its elder sibling – instead, they’re all incorporated into the UI. Therefore, the only thing that’s found below the display is the discrete microphone that’s hidden along the bottom edge of the display. On the opposite side, however, we’re greeted to the familiar things – like the earpiece, light & proximity sensors, LED notification light, and a front-facing 2-megapixel camera that can shoot videos in 720p. 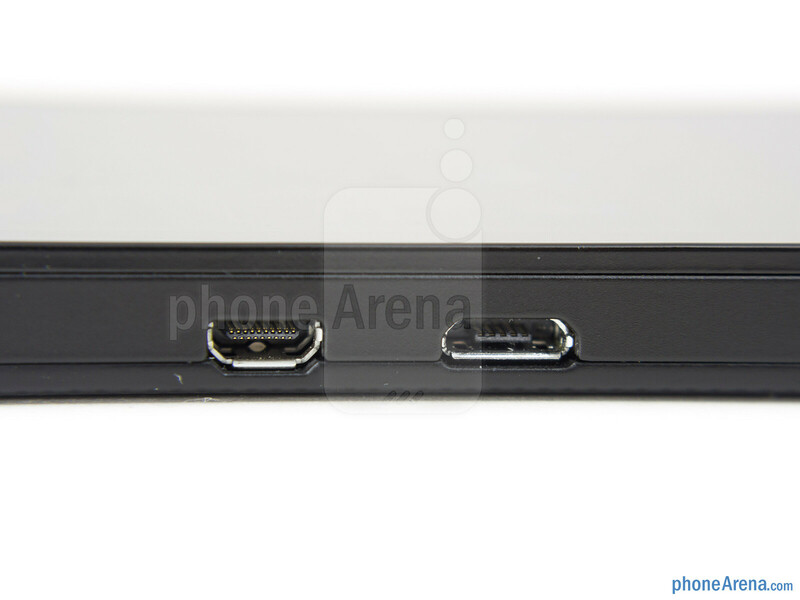 Along the left edge, we find a microUSB port for charging/data connectivity and an always-useful microHDMI port for quick and easy video-out functionality. Conversely, the black plastic trim of the right side is broken up by the aluminum volume control, which is a little flat to the touch, but offers a pleasing springy response when pressed. In between the volume up and down buttons, there’s a middle multi-function one that accesses the handset’s voice control service when it’s long pressed. Additionally, it acts as a media playback button as well to pause/play music tracks. Even though we like that the physical power button is positioned squarely in the middle along the top edge, we’re not fans of its very flush appearance. Next to it, we have the 3.5mm headset jack and noise-cancelling microphone. Finally, the only item that’s found on the bottom side is a notch that allows us to remove the back cover, and acts as the speaker grill as well. In the rear of the Z10, it’s outfitted with an ample 8-megapixel auto-focus camera with LED flash, which has the ability to shoot videos in 1080p. 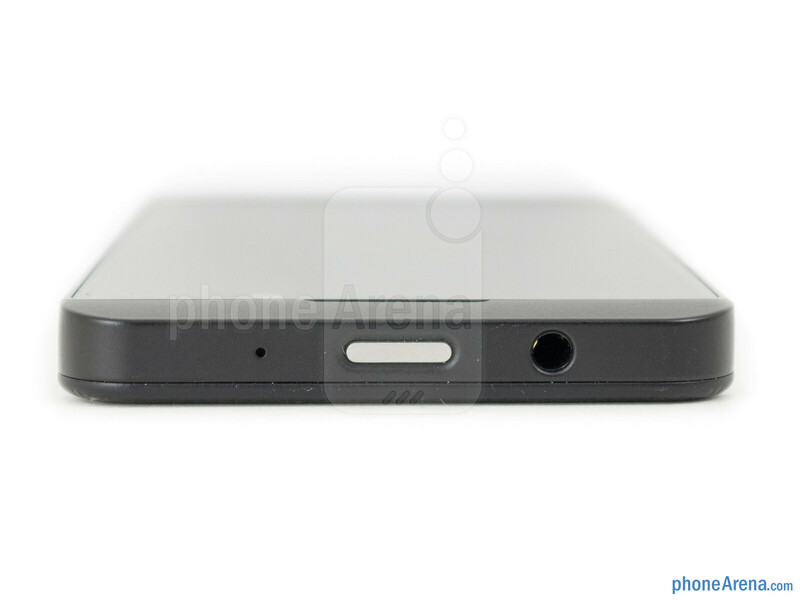 Yanking off the flexible rear casing, we notice that the NFC chip is incorporated into it, but more importantly, we gain access to its 1,800 mAh battery, microSD, and microSIM slots. 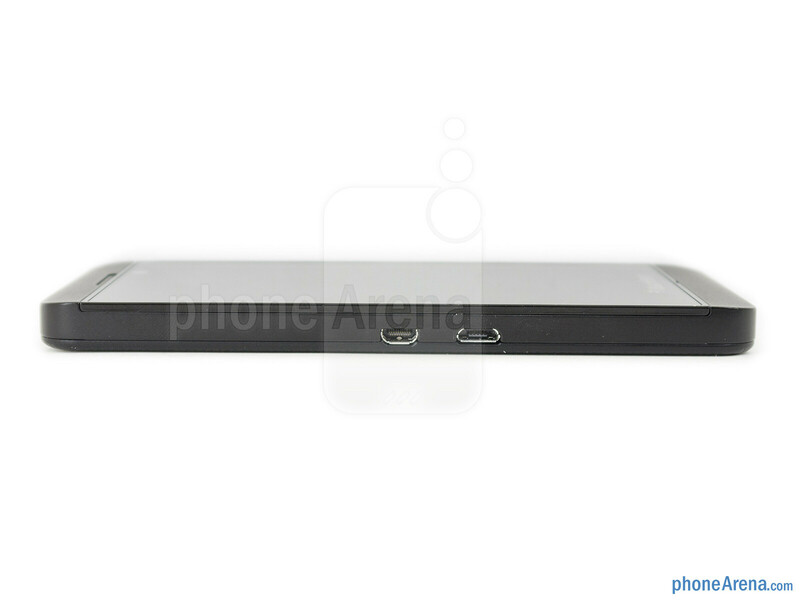 With the latter, though, the battery needs to be removed first before gaining access to it. Similar to the underwhelming design of the Z10, we can say something identical about its display too. Previous to this, the BlackBerry Torch 9850 had the honor of sporting the largest display on a BlackBerry smartphone, but the Z10 makes a marginal increase – albeit, we’re thankful that the resolution has been amped up. Specifically, it’s a 4.2-inch 768 x 1280 LCD screen on the Z10, which produces a very sharp looking pixel density of 356 ppi. As our eyes tell us, it’s filled with plenty of detail and clarity to give nearly everything the sharpness that our eyes crave. And on top of that, since it’s relying on good old LCD technology, colors remain on the neutral side, as opposed to the unrealistic and saturated tones of AMOLED. Combining its strong brightness output with its decent viewing angles, we didn’t have any problems viewing the display in outdoor conditions – with the sun present. As usual Johnnnnnnnnnnnnnnnnnnnnnnnnnnnnnnnnnnnnnnnnnnnnnnn​nnnnnnnnnnnnnnnnnnnnnnnnnnnnnnnnnnnnnnnnnnnnnnnnnn​nnnnnnnnnnnnnnnnnnnnnnnnnnnnnnnnnnnnnnnnnnnnnnnnnn V here....jokes aside looks like pa has a new intro animation? Did you check out the conclusion? 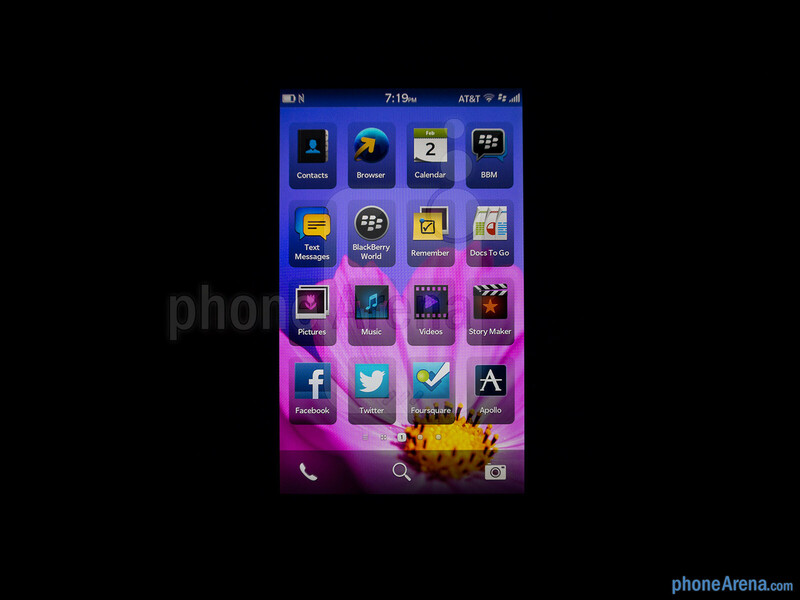 I applauded them for the visual appeal with BB10. John V gave credit in the ending stating that the experience was good & fresh as compared to some other platforms ! 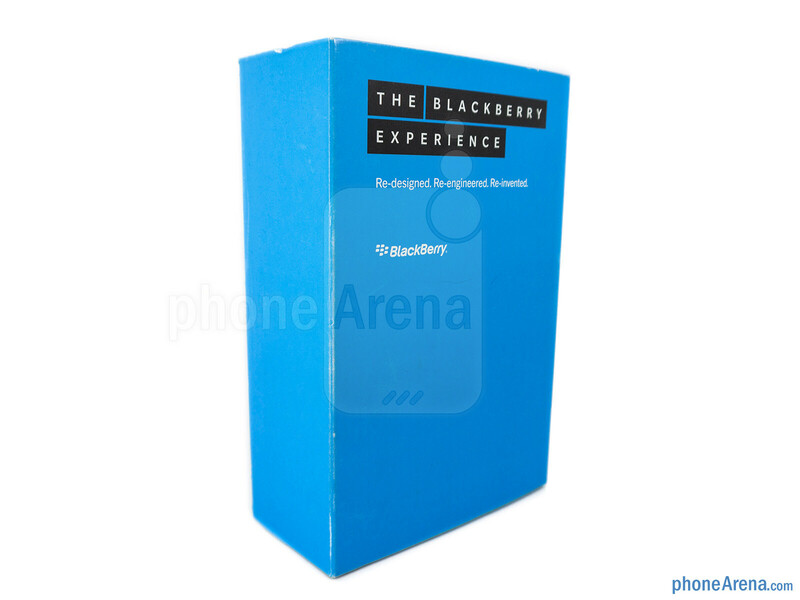 BlackBerry did do a good job with BB10 , but it should have been a little more comprehensive & complete as they had more than a year to develop the platform . Dead on with that statement! You share my sentiments. one year may seem like a long time, especially talking phone years, but for an OS to fully show its capabilities it usually takes a couple years. I believe this is a nice solid start. I will wait until they come out with their first huge upgrade then decide if I want to go back to BB. The only thing Im really disappointed at are the hardware materials. I thought BB hardware was premium? John V. A tip for future reviews. I came here to see a phone review. I felt as if this was a comparison to everything available in the market instead of directly focusing on this product. I want to know what YOU think about the product. Not how it stacks against the competition on every little thing. You repeated plenty of times how "it gets the job done". You can do that on those individual VS. battles you guys have. I agree. This device is brand new and has a brand new OS; this has to be factored into the review. When compared to past BB camera's this has to be the strongest to date. Just because all other devices are 4.5" or more does not make this 4.2" screen inferior.. come on, it is larger then the iPhone 5's screen.. Sorry but you are pathetic. Flaming on R.I.M Day and night. :) I think i need to sell you a product called ''Life''. 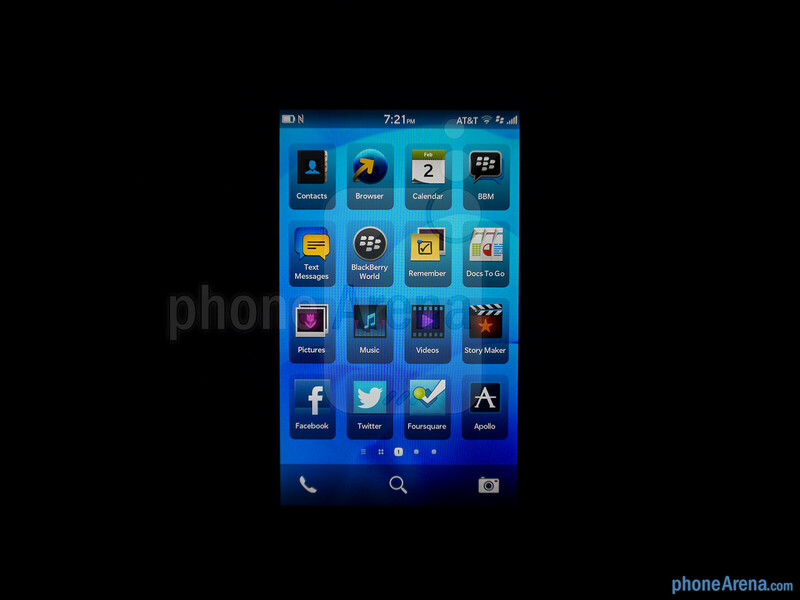 Taking into consideration that Blackberry took a long time, the OS does seem a bit too subtle. But, since it's in stage 1, i can forget about that. I actually did like the design (better than the iPhone 5, if i must say)... And i know what people will say about BB10, it'll be what WP7 was to Windows. Blackberry is finally done. Maybe now they'll give it up. 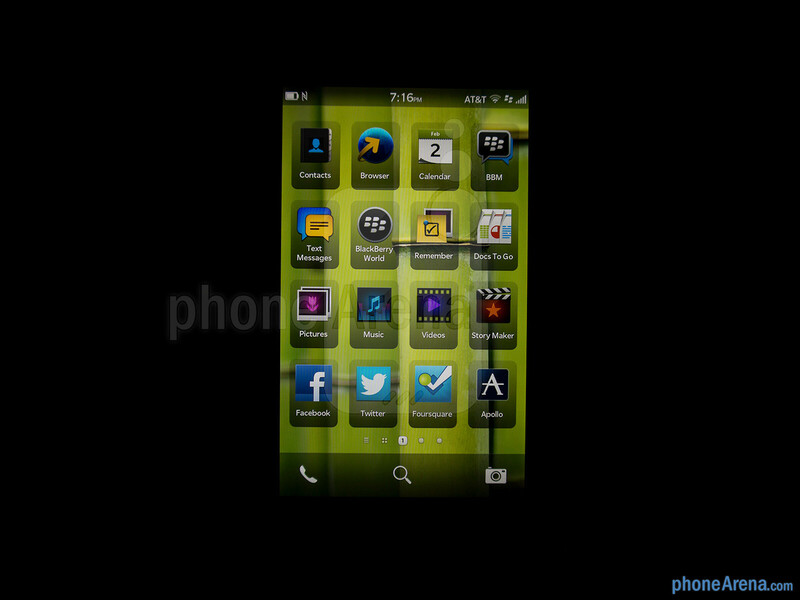 That's rude dude but yeah, BB10 is meh.. I disagree! 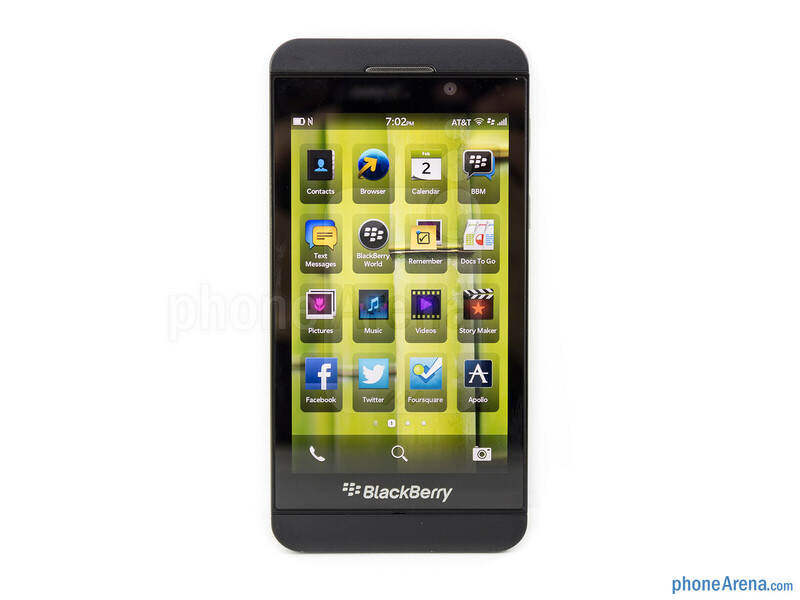 which do you prefer Window Phone or Blackberry 10? maybe jon rettinger is a bb fanboy? Check out the Dec Alpha units. 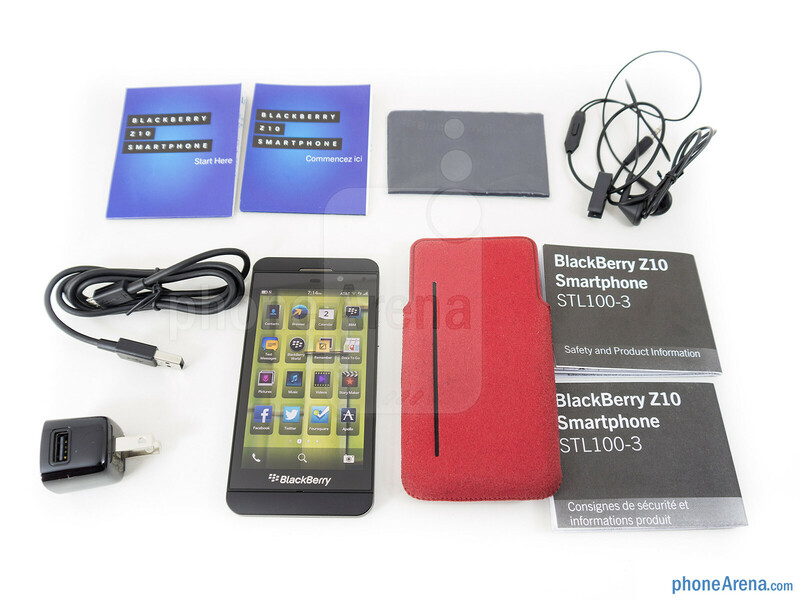 The Z10 looks like a slight variant of it. For a launch device, I was expecting more, since design aids in fostering attention. 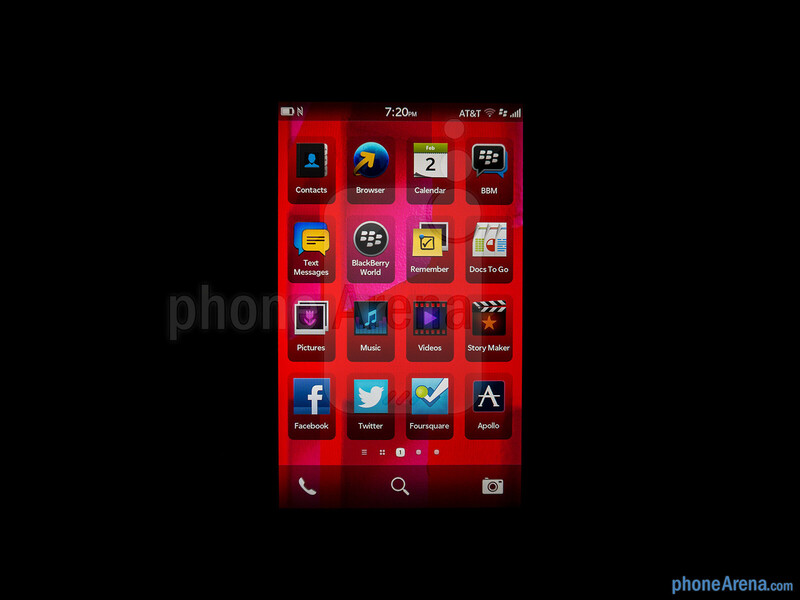 Again , Z10 must have have been a good & fresh looking as the platform . 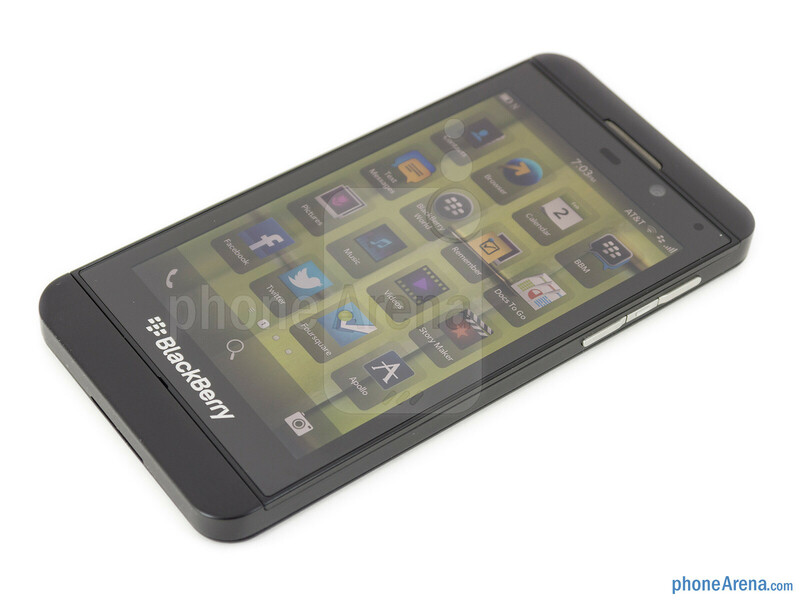 Blackberry need to be relevant again and a slabby phone with not real good looks wont help them . Thats what John V is trying to say . I just see a repeet of what happened with Storm 2. They brought something new to the table and it failed. 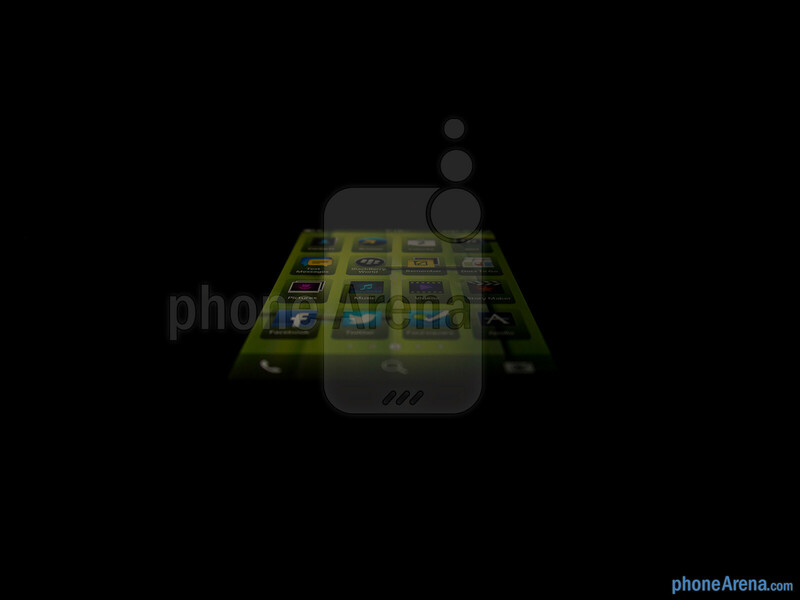 U can't expect people to change how they handle touch screen phones. This is something that needs a whole lot of time to do and can't be done over night. 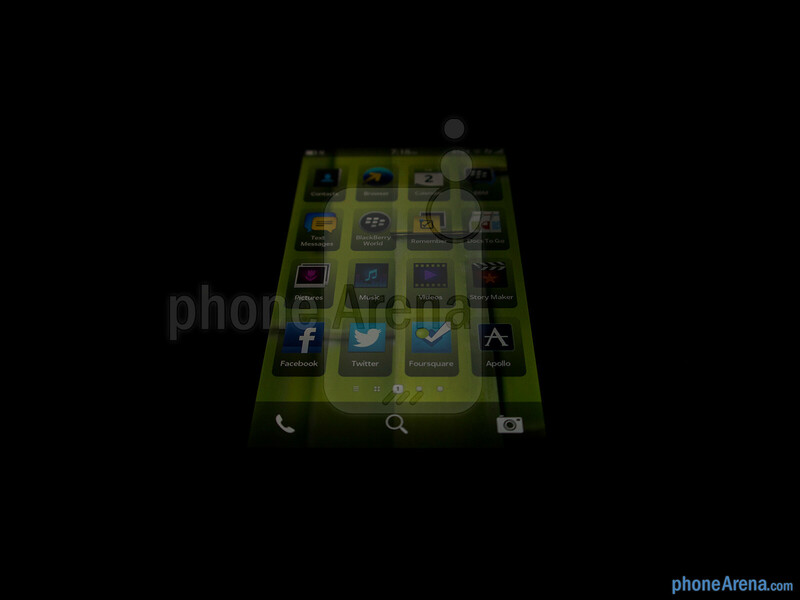 Personally I had high hopes for WebOS. Not sure I can't get suckered into thinking the same again. 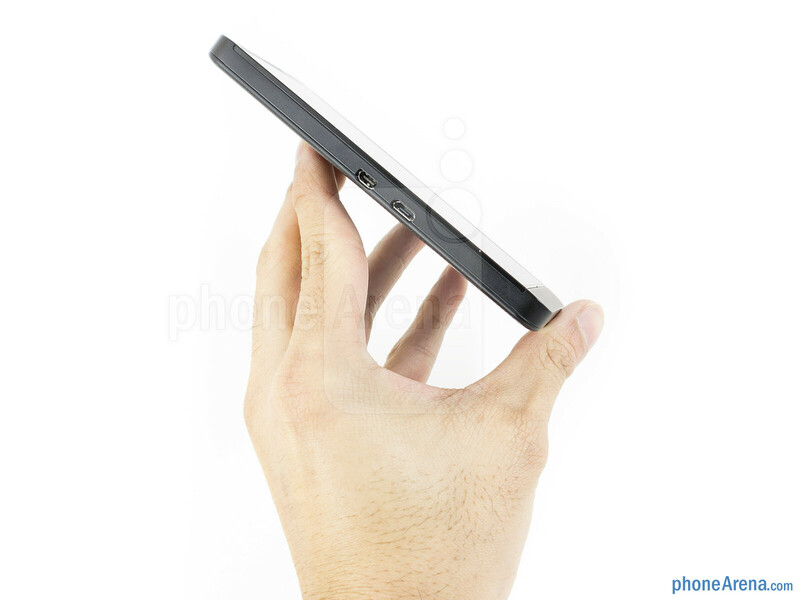 Check this; yesterday I just bought a new phone and went with Sony because Samsung had the (most used) back button on a side where it is uncomfortable to go one handed. That all said i do hope this makes it. Not like they can afford another blow. I am loathe to say this, but this review oozes a certain level of bias, almost like the reviewer was delightfully looking for issues to pick apart. Now, I'm not necessarily saying that this phone deserves a higher score or that it is an amazing piece of hardware, but the language used here doesn't do an honest review justice. Add in the fact that some of the review items (such as battery life) aren't even completed and just assumed, and I have to wonder at the validity of this entire piece. I have to admit that I am a little disappointed here. 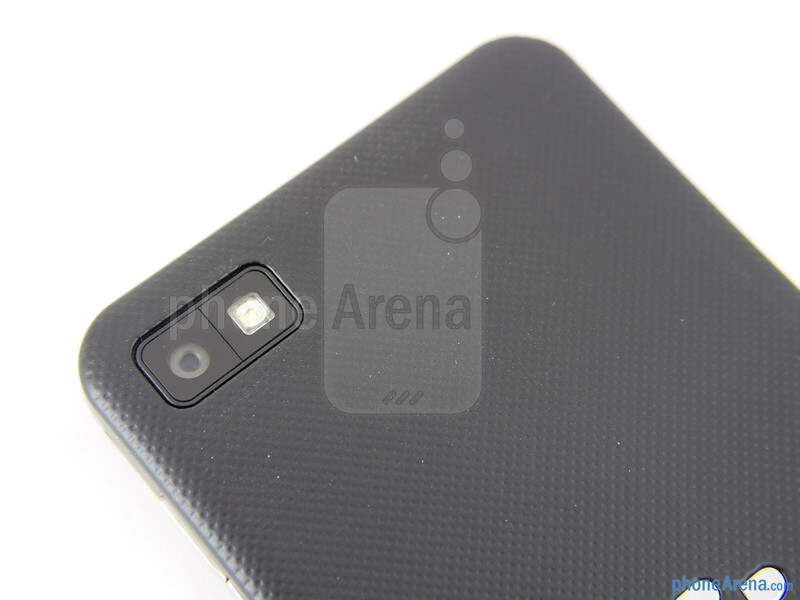 I expect more from phonearena. I agree with you. Other sites test a device for more than a week to make a throughtful review. This one seems rushed.